“And when you are praying, do not use meaningless repetition as the Gentiles do, for they suppose that they will be heard for their many words. So do not be like them; for your Father knows what you need before you ask Him” (Jesus—Matthew 6:7, 8).This week, I’d like to share a few thoughts on prayer. Almost every time I speak on this topic, I try to be careful, because there are so many misconceptions out there about this issue. I don’t want to ever give the idea that prayer somehow entails asking God to be “good.” I am convinced that He already is. Think about the above statement from Jesus. God already knows what we need before we ask. Notice the following statement by Jesus as well. “For the Gentiles eagerly seek all these things; for your heavenly Father knows that you need all these things” (Matthew 6:32). Now, if we believe that God is good, and God already knows what we need, then why are we praying? Some would answer that question by simply saying, “Well, prayer changes or benefits us.” Although I would agree that to some degree, it does affect us when we pray, the Bible doesn’t seem to teach that the primary purpose of prayer is to change the “pray-er.” Rather, prayer is something much more dynamic in its effect on the world around us. You see, prayer is NOT about convincing God to do what He otherwise wouldn’t have done. Prayer affects this world, enabling God to do what He otherwise couldn’t have done. Follow the following story carefully. In those days, I, Daniel, had been mourning for three entire weeks. I did not eat any tasty food, nor did meat or wine enter my mouth, nor did I use any ointment at all until the entire three weeks were completed. On the twenty-fourth day of the first month, while I was by the bank of the great river, that is, the Tigris, I lifted my eyes and looked, and behold, there was a certain man dressed in linen . . . He said to me, “O Daniel, man of high esteem, understand the words that I am about to tell you and stand upright, for I have now been sent to you. And when he had spoken this word to me, I stood up trembling. Then he said to me, “Do not be afraid, Daniel, for from the first day that you set your heart on understanding this and on humbling yourself before your God, your words were heard, and I have come in response to your words. But the prince of the kingdom of Persia was withstanding me for twenty-one days; then behold, Michael, one of the chief princes, came to help me, for I had been left there with the kings of Persia . . . Then he said, “Do you understand why I came to you? But I shall now return to fight against the prince of Persia; so I am going forth, and behold, the prince of Greece is about to come. However, I will tell you what is inscribed in the writing of truth. Yet there is no one who stands firmly with me against these forces except Michael your prince (Daniel 10:1–21). This is quite an extraordinary story, and there are some simple points that I’d like to expand on. Daniel’s prayer had been heard three weeks earlier. This angelic being was dispatched immediately. Another free moral agent, whether angelic (fallen) or human, interposed to create a three-week delay for this angel. There is so much that I want say about this, but time and space will not permit it here. Suffice it to say, however, that too many times we attribute unanswered prayer to a desire that is contrary to God’s will or to faith too weak to bring about the desired result. (I think both of these concepts have been sorely abused.) Yet this story speaks of issues far beyond these clichés and pat answers. This was not a matter of God’s will or of Daniel’s faith. There was another variable here that was quite different from either of these two issues. And in this variable, I believe we begin to see what prayer actually does. With this in mind [this spiritual warfare that we are engaging in with spiritual forces], be alert and always keep on praying . . . (Ephesians 6:18). It is through our prayers that God’s will is enabled to be “done on earth as it is in Heaven” (Matthew 6:10). Again, prayer isn’t about asking God or convincing God or even informing God of anything! Prayer is one way that we confront the forces at work down here that are standing in the way of God doing what He knows we need and what He is more than willing to do. Again, prayer is NOT about convincing God to do what He otherwise wouldn’t; rather, it is enabling God, on a planet where free will is a significant variable among humans and even fallen angels, to do what He otherwise couldn’t. Prayer is not at all about persuading God to be good. Notice Jesus’ words. “In that day you will ask in My name, and I do not say to you that I will request of the Father on your behalf; for the Father Himself loves you . . . (John 16:26, 27). And Jesus has assured us that He, too, is on our side! “Whatever you ask in My name, that will I do” (John 14:13). This is the confidence which we have before Him, that, if we ask anything according to His will, He hears us. And if we know that He hears us in whatever we ask, we know that we have the requests which we have asked from Him (1 John 5.14, 15). Each and every prayer that we pray is effective. Each one leaves the world a different place than it was before we prayed. Does this mean that God then becomes able to easily step in and make His will be done? Not necessarily. Through our prayers, he may be able to pull off some of our and His desires now, and others He may accomplish at some point in the future (given that we keep praying); still others He may finally pull off in the age to come. But it is our privilege and duty to expand the kingdom in the here and now, confronting the spiritual forces that oppose God’s will—and one of the mightiest weapons we have with which to do so is prayer. I will say that it is encouraging to me that sometimes even Jesus had to pray twice. Have you ever considered that? The blind man did not immediately receive His sight. It was God’s will, God was working, Jesus’ faith was perfect—yet it took Jesus praying twice for this man to receive the full restoration of His sight! He looked up and said, “I see people; they look like trees walking around.” Once more Jesus put his hands on the man’s eyes. 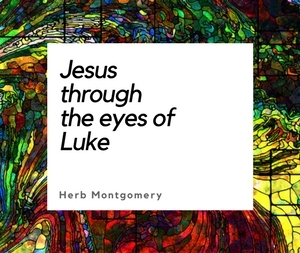 Then his eyes were opened, his sight was restored, and he saw everything clearly (Mark 8:22–25). In closing, let me add one more thing. James gives us insight into the power of prayer: when we are living in love, in reconciliation one with another as a community, our prayers have a greater effect on this world. For more strong or able is the entreaty or prayer of him who is put right or in right relation [to each other and God] to bring about the desired result (James 5:16). Second: Know that prayer is not informing God of what we need or convincing God to be good and to give us what we need. Third: Know that each prayer we pray has a powerful effect and leaves the world a different place than it would have been had we not prayed. Each prayer makes a difference, whether or not we obtain the desired outcome. We will witness some desires being fulfilled now, and others maybe not until we are in the Kingdom, but it is our job and privilege to enlarge the kingdom here and now, today! Live in love, pray without ceasing, and keep enlarging the kingdom.